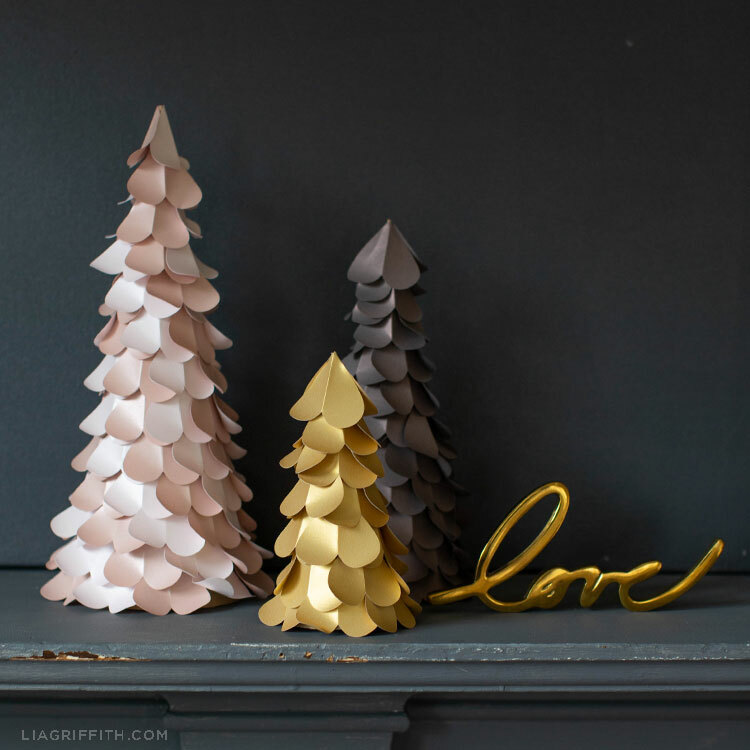 These paper heart trees make such pretty home décor! We crafted them for you as a Valentine’s Day DIY décor idea. But really you could keep these trees out all year long if you wanted to. These colors are neutral enough to fit in well with a variety of home décor styles. And since they’re metallics, you can use them as accents to brighten up a room and pull everything together for a more polished look. 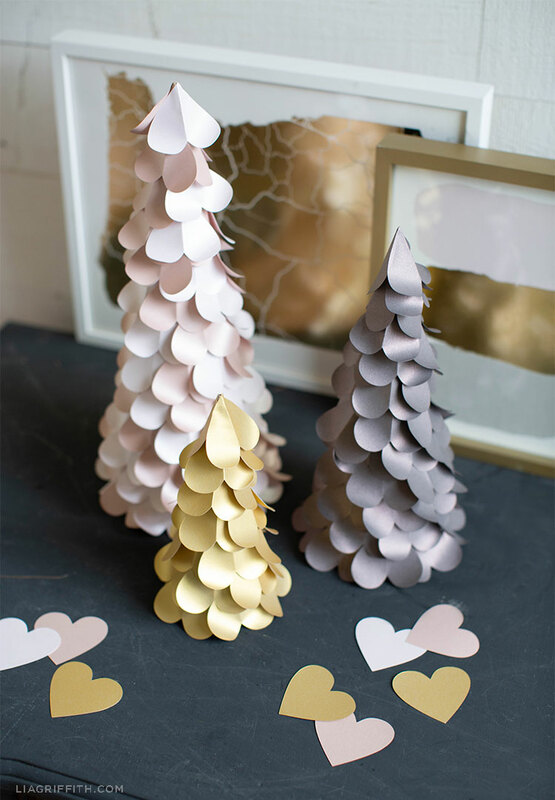 The colors we used for these paper heart trees are linked below. But if you want to use more of a “Valentine’s Day” color, go for it! This is a fun project for kids, too, so you could always make some yourself and then have your kiddos make their own. 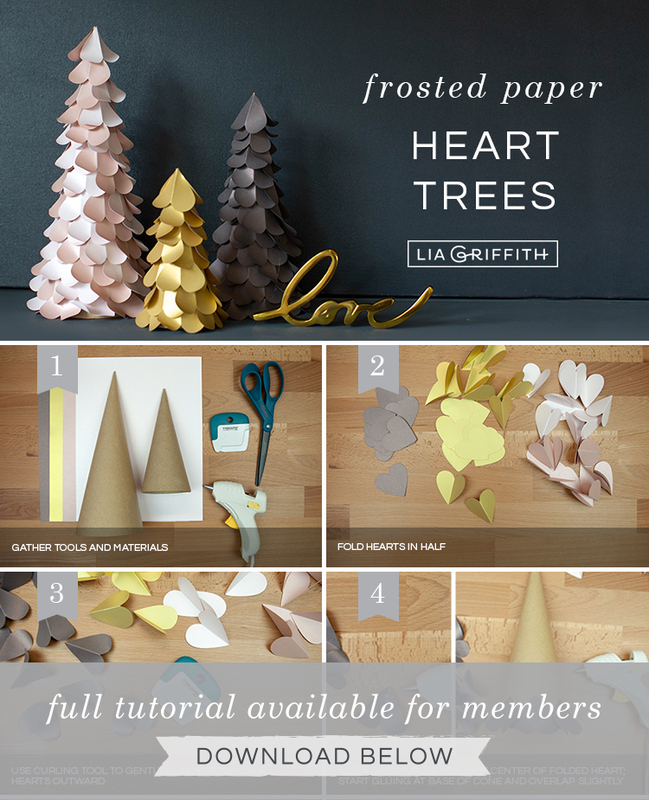 We created three different sizes of paper heart trees. For the small tree, we used three sheets of paper and had some left over. For the medium tree, we used four sheets of paper. And for the large tree, we used seven sheets of paper. We also used two shades of pink for that one—the pink quartz and rose gold, just for fun! Another DIY décor project you might like is our geometric heart garland. 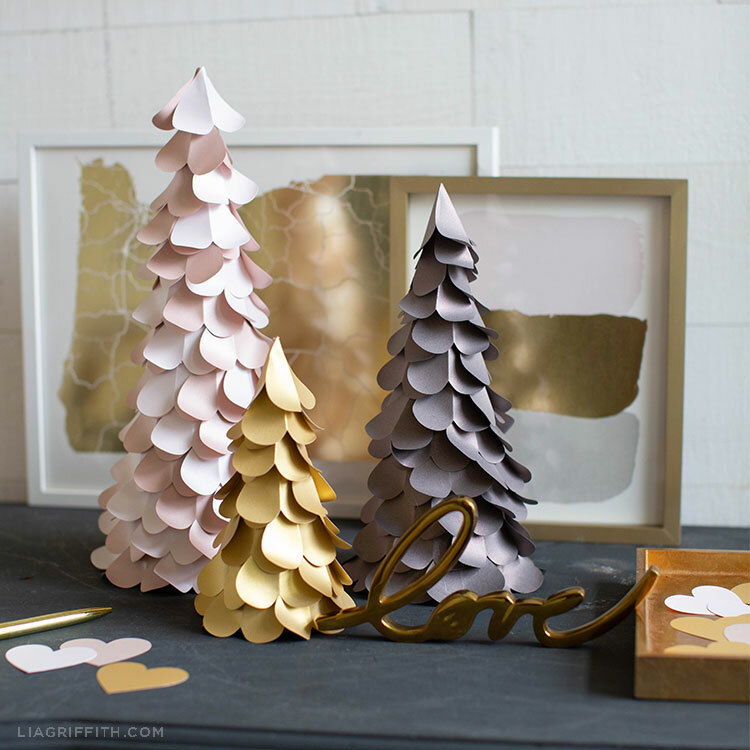 We used some of the same colors for that one, so it would look great with these paper heart trees! If you create either one of these projects–or both—we’d love to see them. Make sure to share pictures on Instagram with the hashtag #MadeWithLia. Gather the tools and materials above. Then download the pattern at the end of this post. Cut out your paper hearts using your scissors or cutting machine. Then, fold all hearts in half. Use your curling tool to gently curl the bottom of all the hearts outward. Add a dab of glue to the top inside center of folded heart; start gluing at base of cone and overlap slightly. Want more DIY ideas for Valentine’s Day? You can find all of our Valentine’s Day crafts here. 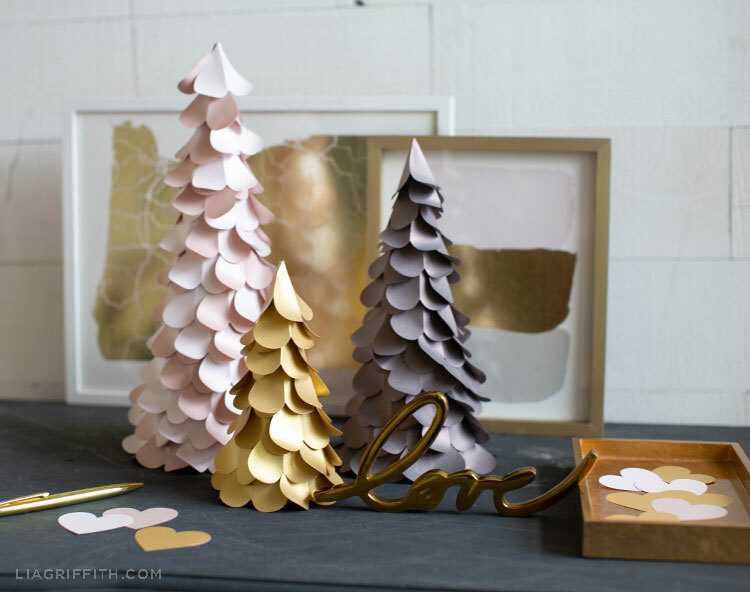 We’ve got more paper heart ideas along with cards, jewelry, plants, and other fun projects. For daily DIY ideas and inspiration, follow us on Facebook, Pinterest, or Instagram. And browse our YouTube channel for video tutorials. You can learn how to make flowers, home décor, jewelry, and more! I did the same thing at Christmas time with a heart punch, 2 kinds of glitter paper, glue gun and poster board cones. My favorite craft and I still have it on my mantle!